The Philippine Cable TV association is pushing the cable tv providers in our country to move from analog cable transmission to digital platform to fight illegal connection and to catch the lost revenue from it. According to Jose Lobregat, PCTA chairman, signal theft is very rampant that they estimated that there is one to one ratio between paying cable subscribers and illegal or tapped cable tv connections. The estimated value lost annually because of illegal connection is P6.3 billion pesos. 3. Better authorization and authentication, illegal connection won't work if no equivalent ID is existing. 4. Digital equipments are easier to maintain and upgrade, better quality of service. Digitization of cable is not a question of whether to do it or not but when. SkyCable has already invested in cable digitalization and is now offering improved picture quality (I also believe they are the only cable tv provider in the Philippines that offers HD channels currently-correct me if I'm wrong). SkyCable is more like a premium cable tv provider, they cost more to subscribe to but has better quality of streams. They offer other plans that suits the subcriber's needs. 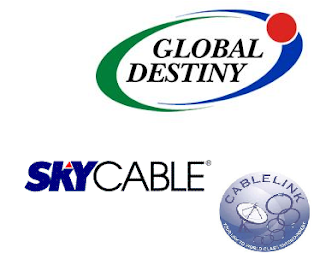 CableLink on the other hand is a wireless cable tv provider which utilizes prepaid system where in they give you a digital box and a satellite dish receiver. To be able to use their cable tv you must buy a prepaid card from them and insert it to the digital box. This is the cable tv we used at the office and i notice that if the weather is strong, it highly affects the quality of the stream. Update: There's a facebook fanpage that supports the spread of Digital TV to filipinos. Check out their page. People who were able to steal through analog cableconnections are going to be able to do it on digital cable. The only difference is now they will be able to do it cleaner and more efficiently. Better, more advanced technology always brings a better, more advanced way to bypass its security. But i believe its more difficult to do than in analog. cause in analog cable connection, you only have to splice some wires on the main wire then run it through your home but for digital cable you need to use some sort of digibox to decode the signal. malapit na mag digital ang cablelink this year.